We are courteous, listen to our customers intently, try not to make an assumption, and we will double check to make sure that any information we convey is fully understood. We are on time at least ninety-five percent of the time, and for the few times when we will be unavoidably late, we will call beforehand to let you know. We strive to have a fast turn around, appointment availability and when that is not possible, we will do our best to set up a temporary workaround for you until such time as we can fully get you up and running. We are empathetic, but we do not sugarcoat the facts, and we are careful to not oversell expectations. In addition, we take ownership of our mistakes. When we are asked to come up with a solution, we also plan for future expansions and downsizing. There is nothing worse than having to explain to a customer why he has to repurchase something when it could have been avoided by spending just a little bit more on a different model with the necessary option. Why does it matter if a business is veteran owned? Some people patronize businesses that are veteran-owned as a way of saying thank you, but that is not the reason why you should. Several skill sets have been cultivated in all veterans such as transparent communication, cross-functional communication, teamwork, leadership, attention to detail, critical thinking, problem-solving, endurance, working under pressure, and resiliency to name a few. These are all desirable skills that can help foster an efficient business that does not set its customer’s expectations artificially high and that can help to ensure a great customer experience. So instead of scouring through bazillions of possibly fictional or embellished online reviews, you might first search for veteran-owned businesses. In this information age, almost all of your secrets both business and personal are either stored or are accessible via your computers or other gadgets connected to your network. With this in mind, the one person you need to be able to trust more than anyone else is your technician. We admit it, we are human, and we make mistakes. While most mistakes are not totally our fault, we always try to learn from them and not to let them negatively impact our customer’s experience with us. This means that as a business some projects are not as profitable for us as they should be, which in turn is a big incentive not to make another mistake. 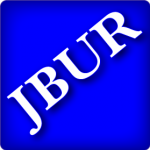 Part of how JBUR-Solutions has survived over the years to include the recession of 2008 is by staying a home based business and also by keeping very few parts on hand. To keep your downtime to a minimum, we utilize expedited shipping methods from our suppliers and patronize local stores when it is to your advantage. Given that we are a home based business, we do not have a storefront, nor do not have a store clerk to wait on you should you decide to walk in. So if you wish to drop off your devices to be worked on, please first contact us by phone to make an appointment, and we will be happy to greet you when you arrive.